Cathy (Kate) Johnson has been an inspiration to me for years with her extraordinary nature journals, her beautiful watercolors and her generous willingness to teach many of us in the EDM community via her informative posts and her many books and articles. I am honored to have Kate’s work in my upcoming book, An Illustrated Life: drawing inspiration from the private sketchbooks of artists, illustrators and designers. 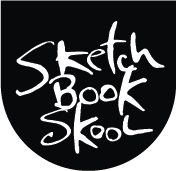 On this week’s podcast, I share a chat we had recently about her career, her inspiration, her techniques and the crucial role her various sketchbooks play in her life and her art. The whole episode is 25 minutes long. Please stay tuned and consider subscribing via RSS or iTunes* to what I hope will be a weekly or thereabouts feature until the book comes out this Fall.